Ready, set, go! This is often what it’s felt like for our client’s members at the National Alliance for Public Charter Schools when visiting Capitol Hill. 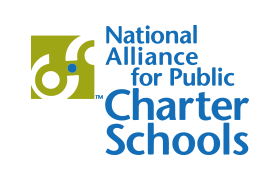 Each year, they host National Charter Schools Week to advocate on behalf of and for high-quality charter schools. For a number of years, our team managed the logistical details of National Charter Schools Week to support the advocates on their important mission. With just a few months of planning, our team launched into action to secure details that included arranging the hotel room block, contract negotiations managing travel for all members, coordinating venue details and food and beverage, and working with Capitol Hill staff on reception logistics. Our team also supported coordinating the meetings and executing the program on-site, which included being dispatched to each of the Senate and House Office buildings to serve as the point of contact. This ensured advocates were informed of meeting location changes, and were guided to offices, in case they became lost or delayed at security.